It’s time to take control of your health and place essential wellness tools in your toolkit to support you and your family. Through science-based integrative nutrition education and practices, you can keep sickness and disease at bay, allowing you to enjoy life and not just exist. 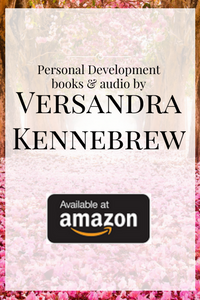 Coach Versandra Kennebrew has supported clients with embracing holistic options for living their best life for more than 20-years. “Where two or three are gathered in my name there I will be in the midst.” This is the premises behind modern mastermind groups and I have had the pleasure to facilitate and participate in several such groups over the past 10-years. Introducing my 2019 Optimal Living Mastermind Group membership. For only $99 per month, you will receive A Private Breakthrough Session with Health Assessment, 1st Monday Virtual Mastermind Video Chat, 1 free live Optimal Living class per month, access to my private New You Well-Being Lounge packed with wellness resources and monthly free nutrition samples. Optimal living is our birth rite and I want to support you in experiencing more of it throughout 2019 and beyond. Enjoy this self-care workshop facilitated by Coach Versandra Kennebrew at Sevananda Natural Foods Market, Atlanta, GA.